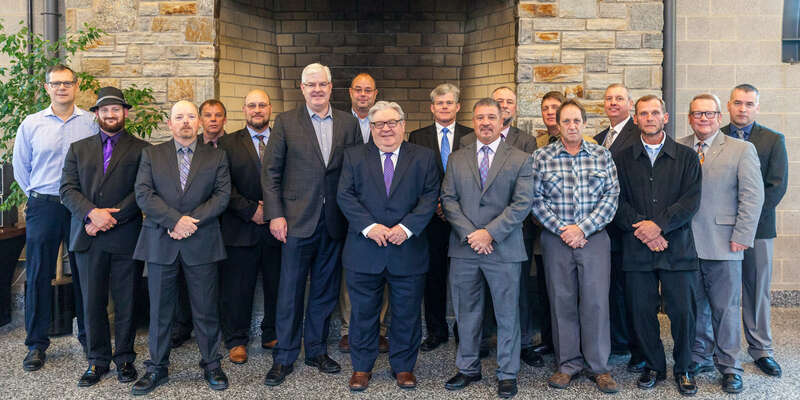 On November 9, 2017, 14 members of the International Union of Bricklayers and Allied Craftworkers' (BAC) graduated from IMTEF/IMI’s Instructor Certification Program. ICP is a 5-year, 200-hour educational program designed to develop instructors qualified to effectively teach BAC training programs. “Providing quality training to craftworkers is one of the most important things the union does,” said IMI/IMTEF President Caryn Halifax in her opening remarks at the 2017 ICP graduation ceremony. 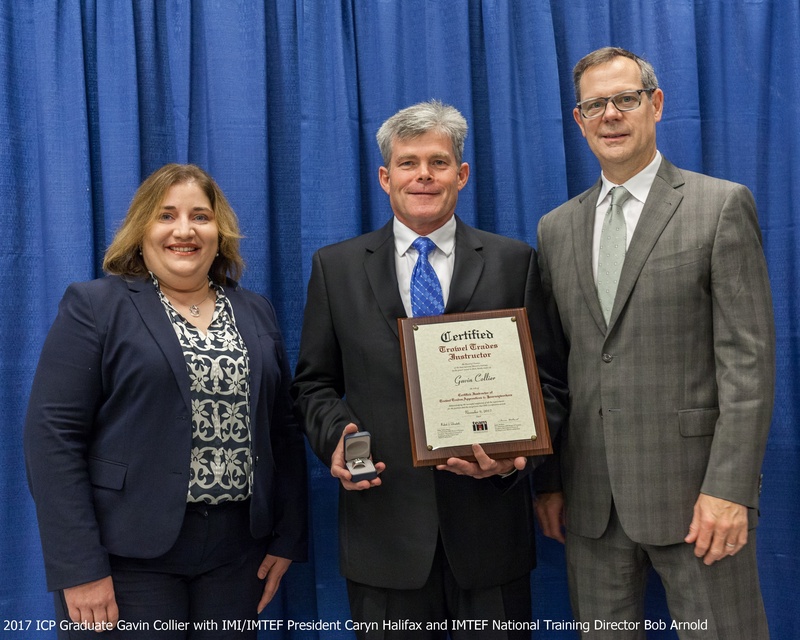 During the event, each graduate was presented with a plaque and ring by IMTEF National Training Director Bob Arnold and his staff, who remarked on what an accomplishment it is to successfully complete the rigorous program. ICP graduates echoed Halifax’s and Arnold’s sentiments in reflecting on their experience in ICP. “Training apprentices is an extremely rewarding career. Although I took pride in all the work I did in the field, it’s a different feeling when you can train someone and then get them a union job. 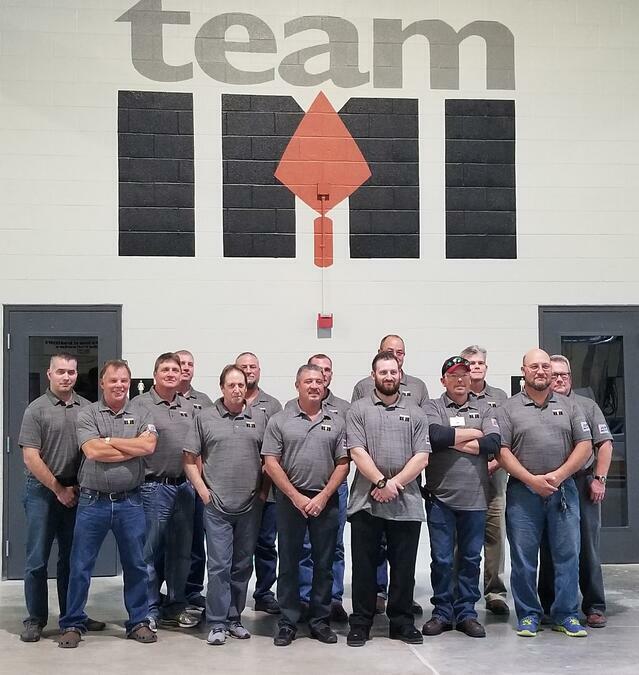 For a lot of my apprentices, these are life-changing opportunities,” said Gavin Collier, Tile Apprenticeship Coordinator at BAC’s District Council Training Center in Illinois. To qualify for ICP, participants must be experienced journey-level craftworkers employed as instructors by their local JATC. ICP graduates are skilled in more than tools and materials, though: they know how to help students succeed, and how to structure a training program that meets the needs of members throughout their working life. “Before ICP, I knew how to do the work, but I didn’t know the reasons behind why it was done that way. After ICP and through trial and error, I have come to realize that planning and classroom work makes a world of difference. Now I can instruct students not only on how it’s done, but the reason why it’s done that way,” remarked Richard Taylor of BAC Local 5 Oklahoma/Arkansas/Texas. Beyond demonstrating the value of classroom learning, ICP equips instructors with the tools they need to build and present coursework, improving their skills with technology, public speaking, and more. “[Before ICP], my lack of computer skills made my teaching job difficult. Today, I am able to put together PowerPoints, create a spreadsheet, do mass mailings, and navigate through Word, Excel, and Adobe Reader without a problem,” said Stephen Carney IV of BAC Local 1 Connecticut. A foundational component of the ICP program for many participants is just what Demme referenced: understanding the varied ways students learn, and how to cater to those different styles. “Learning how students learn is one of the biggest takeaways from ICP. How they relate and what you say to them can literally be the difference between making it and dropping out” said Keith Inglin of BAC Local 4 New Jersey. One of the biggest assets ICP instructors have is one another. The shared experience of teaching BAC members throughout the country creates a connection between participants that allows them to network and learn from one another. “Sharing conversations about work and apprentices has to be the most informational learning there is,” said Joseph Schmidt of BAC Local 3 New York. Many ICP graduates consider the certification one of the biggest accomplishments of their career. “Earning this along with my classmates is one of my proudest moments,” said Naprstek. But ICP instructors also know that the certification is about more than them: it’s about training better craftworkers to carry on the union and the craft. 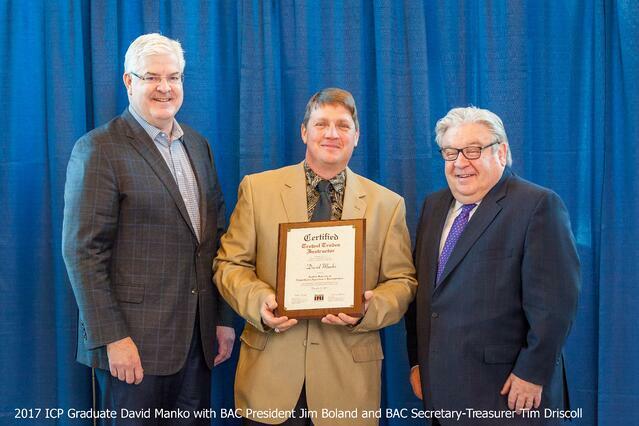 “My biggest responsibility is to the apprentices, and helping them be the best craftperson they can be,” said Jeffrey Garnett, Apprenticeship Instructor with BAC’s Southern Ohio-Kentucky Regional Training Center.